HIT! Cheap flights to Sri Lanka, Maldives and Thailand from Prague for €324 / 8778 CZK! UPDATE 2.1.2017: Flights from Prague to Male (Maldives) and to Colombo (Sri Lanka) again on sale for 8970 CZK / €332! Travel dates in May and June 2016, e.g. 14.-27.5. or 4.-17.6. Book now, check screenshot! 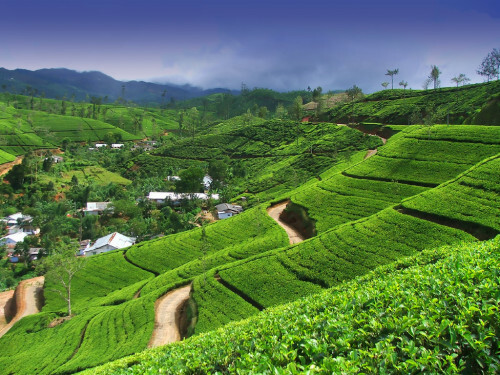 UPDATE 15.12.: Cheap flights from Prague to Colombo in Sri Lanka again available for only €324 / 8777 CZK! Travel dates until October 2017, book now! FlyDubai launched a great sale and offers up to 40% discount on selected flights only today! You can now book super cheap return tickets from Prague or Bratislava to Colombo (Sri Lanka), Male (Maldives) or Bangkok (Thailand) from only €324 / 8778 CZK! Other destinations like Oman or UAE are also available for great price! Travel dates are from December 2016 to October 2017 so you have plenty of dates to choose from. 20 kg check-in luggage is also included in the price. There is 1 stopover in Dubai. Book fast directly via FlyDubai! « Norwegian will fly to New York from UK for £112 return!